After 10 years in the US Coast Guard, Mere decided to pursue her passion – fitness and helping others! Her style of class maybe regimented, but when mixed with her quirky fun loving personality it ensures everyone has a good time while getting a killer workout. She has the innate ability to motivate and create an environment where clients can reach their maximum performance. 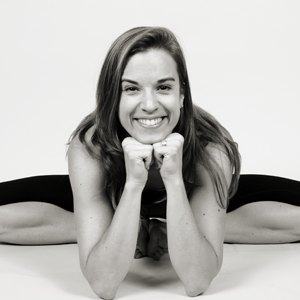 Meredith is a certified Spinning instructor and NASM Certified Personal Trainer. Meredith has a BS from the US Coast Guard Academy in Operations Research, and an MS from the University of Maryland in Biotechnology. She is the mom of two daredevil little boys who keep her on her toes at all times. Her passion is helping clients reach their goals in a way that is maintainable for life. Everything…seriously, one song could be metal, the next hip hop, and then country, ya never know! Work hard, but have fun! Motivating and encouraging, without wasting a second!